Medicinal Qualities: Modern medicine has recently started experiments with extracts from Yew in its pursuing quest for treatments for cancer. 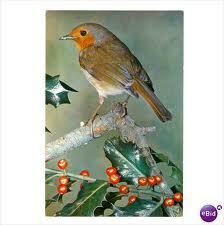 Totem Entities: Bull, Robin Redbreast, Frog, Snake. 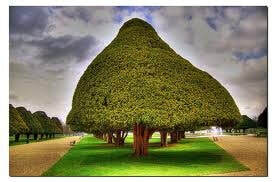 The Yew Tree is able to grow from touching the ground, growing new shoots from a single branch touching the earth and because of this it is difficult to establish the age of any Yew. A new tree can grow from within another, the wasting trunk of the old tree will house and protect the sapling as it grows, the sapling will then literally grow into the old tree. The Yew remains green throughout the year, this also would have contibuted towards its sacred status and reference to eternal life. 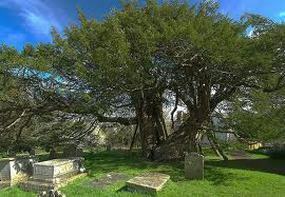 There are many theories as to why the Yew can be found in many cemetries and church yards, it is an evergreen and as such known as a tree of eternal life, a churchyard cannot be accessed easily by wild or domesticated animals so therefore they are protected from the Yews poison, it was planted over the mass graves of plague victims to help break the smell and warn others to stay clear and last but not least the wood of the Yew is strong and flexible and was used for the long bow, cross bow and other weapons of death. A fence post made from Yew is known to last longer than one made from iron. A spear head discovered in Burnham on Crouch in Essex was dated as more than 2000 years old, female gladiators buried with weapons made from yew have been discovered dating from 200bc. There are very few animals that can withstand the toxicity of the Yew, even snakes will not crawl around Yew needles. 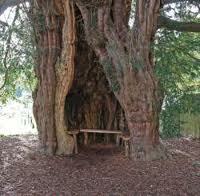 It is said that the roots of the Yew are an image of the tree itself and comes the saying as above so below. In a spiritual sense the cycle of eternal life is represented with the allure of the Qabbalah, the roots of this tree are said to penetrate the corpses of the dead and as such release the souls. The perpetual seeking of new understandings is obviously apparent with both the Qabbalah and the Yew. 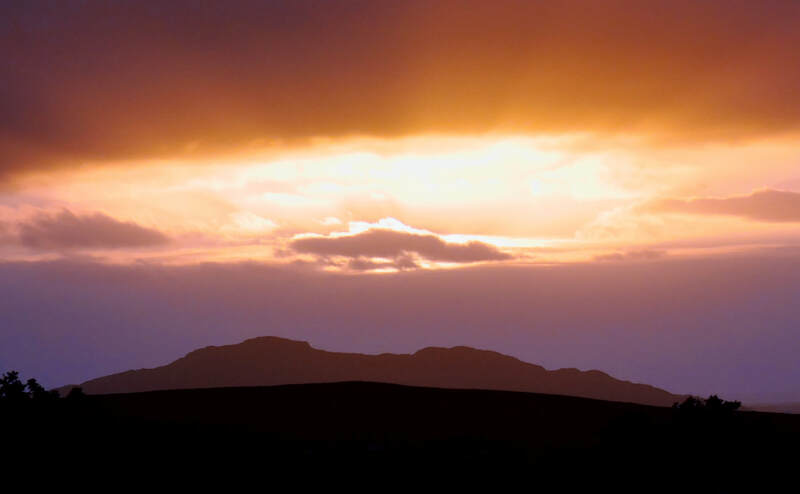 It is one of the three pillars of Wisdom (Oak, Yew, Birch) When the three stand together a new beginning, new horizon and an imminent change is going to happen and it will be for the greater good of everyone close by. The yew is also a tree long associated with death along with the Alder and the Black Poplar. The Fortingall Yew in Scotland is said to be 5000 years old, this tree literally grew from the inside-out and back in and out and has regenerated itself many times. Just as the "old hag" resides within the Blackthorn, the crone resides within the Elder, the yew has not one spirit to watch over her but many. 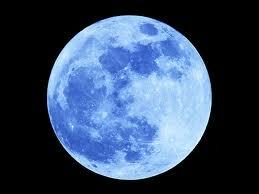 The Dryads, the Fae and almost all elementals will dance and celebrate without fear around the yew. A glass window in a church in Scotland depicts a holy man with his entourage healing a man, the window is source to much speculation with the surrounding rivers and towns named from the people surrounding Jesus. Jesus as a young man is supposedly to have met Pontius Pilate in a village to the West of Edinburgh, it does lead to the question is the Fortingall Yew the tree in the window? According to viking legend with roots in hel she awakens the maidens of Valkyrie who search the battlefields claiming the souls of warriors before either "Hel" or "Freyja" can lay claim to them. 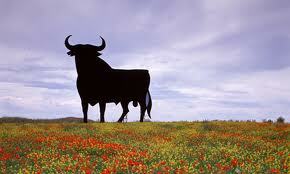 The Bull is seen as a solitary strength, he will contribute his own natural characteristics when he wants to but rarely does he do it willingly and yet when he does he makes all the difference to the situation. The Robin is a fiercely territorial bird, also a spiritual bird said to have been blessed by Jesus for wanting to remove a thorn. The Frog transforms in the mirky waters of a pond, and changes again to leave the pond and is capable of travelling many miles but only to return to the same pond to sporn. The snake goes through many changes to grow and will shed its skin many times, sometimes almost painfully. From understanding the totems that surround this tree we can learn about the tree itself, by understanding the tree we can accept and understand the totem entities more readily.